Go For It! 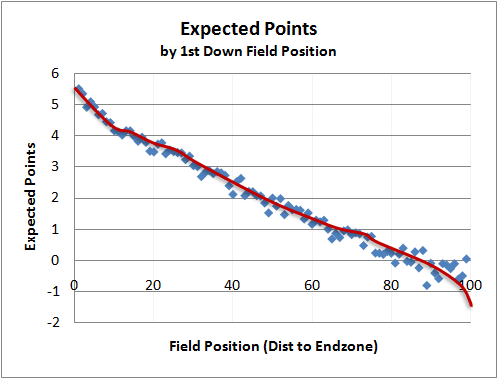 Quantitative analysis of punting on 4th down, is it strategy or just a century old tradition? In this lesson, students will use the age old strategy of punting on 4th down and the use of the on-side kick in football as a way to gain an understanding of the math concepts of percentages, probability and quantitative analysis. Students will also learn about one HS football team’s unconventional approach and critically analyze whether or not their success can be directly correlated to their unique playing style. Define the concepts of punting in football, probability, percentages and quantitative analysis with your students as a primer to this lesson.